Strengths: Norway is a land of immense natural beauty. The locals keep the place neat and tidy, most speak very good english and are more then helpful. Driving Norway was a great experience. Little traffic, good roads, so many tunnels you will loose count, some of the longest tunnels in the world. You’ll be an expert in getting your motorhome on and off ferries after a day or two. Some of the most dramatic mountain passes in the world make the roads of the Geiranger-Trollstigen, popular on Top Gear and keep your navigator nervous. The snow capped hills, the black silence of the fjords, climbing Preikestolen, trekking up a glazier… Overnight stopping opportunities are abundant and free. Plenty of free service points. Weeknesses: Norway has a population of over 5 million people, but we didn’t see too many of them. As there are few cafes and virtually no bars or pubs (outside Oslo or Bergan), the only place we regularly saw lots of locals about was down at the local supermarkets. Mind you there are lots of tourist here and there if the Hurtigruten or some other cruise ship can dock, so expect lots of Chinese and Koreans at Flam or Geiranger. 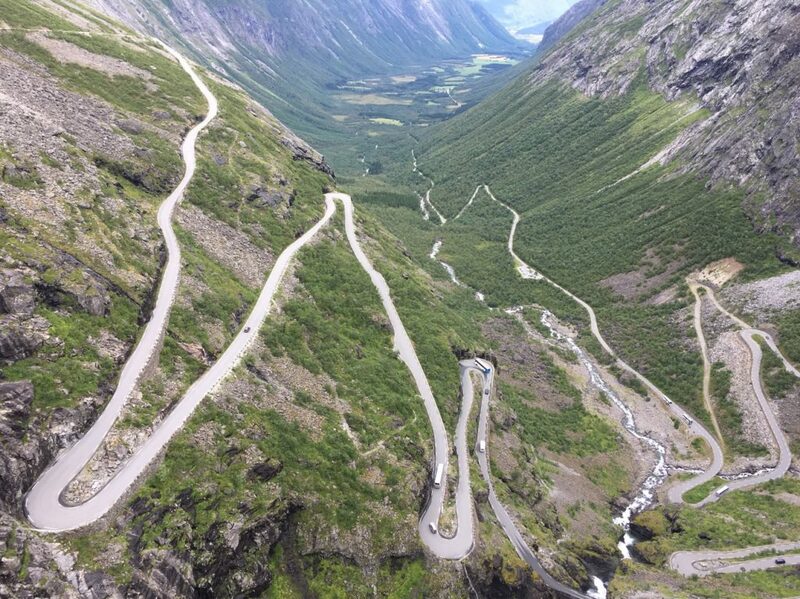 If your not keen on driving through long dark road tunnels, Norways not for you. Lastly and most importantly, bring your own alcohol from Germany with you. A can of beer (mid-strength is the only type available) in a supermarket start at €7. 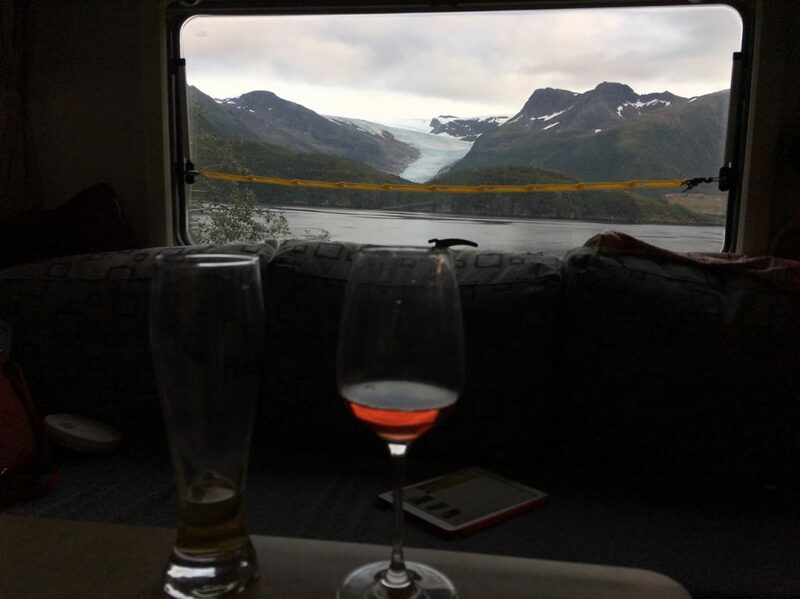 Opportunities: Following the recommendation made in some other motorhome blogs we decided on travelling north following the Norwegian Scenic Routes. We managed to drive 14 of the 18 routes during our trip, However as we headed west from Oslo we decided on following the Telemark Canal rather than the coast road and can recommend that drive. Threats: Hard to think of any, but three things spring to mind, the first being the weather. Summer in northern Norway is similar to winter in Australia. Pleasant enough during the day but it chills off quickly as the sun sets. In retrospect we should have been in Oslo a month earlier. The second being the tyranny of distance. Its a long drive though France, Belgium, The Netherlands cut through Germany into Denmark, then a ferry to Sweden or Norway direct. Coming back through Finland, Sweden etc… we put 10,000 miles on the Hymer in 3 months. Lastly touring Norway is expensive, fuel is relatively costly and the doing 2-3 and sometimes 4 ferries a day adds up, check our 2107 budget. You may find my general comments on Norway posted after 2 weeks on the road interesting. PS: forgot to mention LPG can be a bit of a challenge and expensive.